At JHub, we understand the need to size according to your business needs. To meet those varying needs, JHub offers a wide variety of office space options. This allows businesses of all sizes to attain cost efficiencies that are a key factor in operating success. JHub (TJB) has 53 rooms of varying sizes to meet any of your business needs. From premium spaces that overlook the Istana Gardens and downtown Johor to enclosed, inner spaces at the centre of our luxury facilities that provide cost effective business solutions, we provide the best of accommodations. All TJB rooms are intentionally designed to be simple and cost efficient while meeting our twin goals of low rent and premium frontage for our JHub clients. 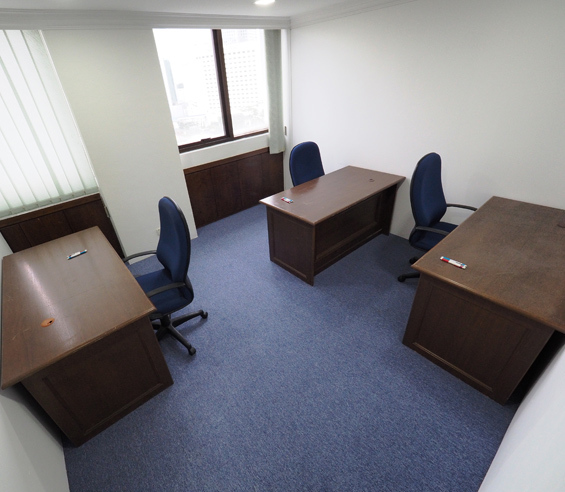 Whether you require a 1-man space or a cluster of rooms to meet your corporate needs, JHub provides a wide selection. As you grow, we grow with you. Just upgrade to the next suitable size space without the worry of breaking any existing rental contacts. 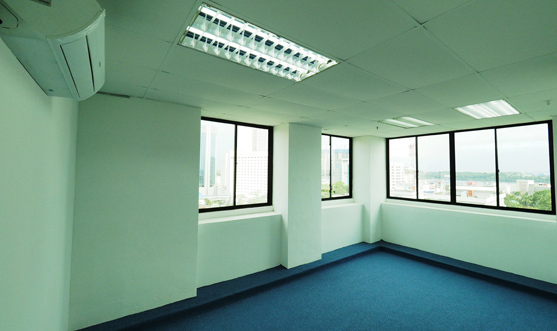 With utilities included — Aircon, electricity, water, and internet –, you know you can afford this premium office. The heads of each office or office cluster get a complimentary coffee or tea served to him/her daily. For clients with more modest needs, JHub also offers highly cost effective membership plans that provide access to our facilities such as showers, gym, meeting rooms and desk space. And to be as flexible as possible to our client needs, desk space can be provided on a first come/first serve or on a reserved basis. Your needs, your choices. JHub can also provide a virtual office hub for clients that own multiple businesses or for startups seeking an official registered address. For a very low start-up cost, a premium address located in the city and call handling can be yours. With a virtual office and administrative support from our professional staff, you create a corporate presence for your clients while working from home. You get all the benefits of an ‘office’ without high overhead costs and without having to commit to a traditional full time office lease.